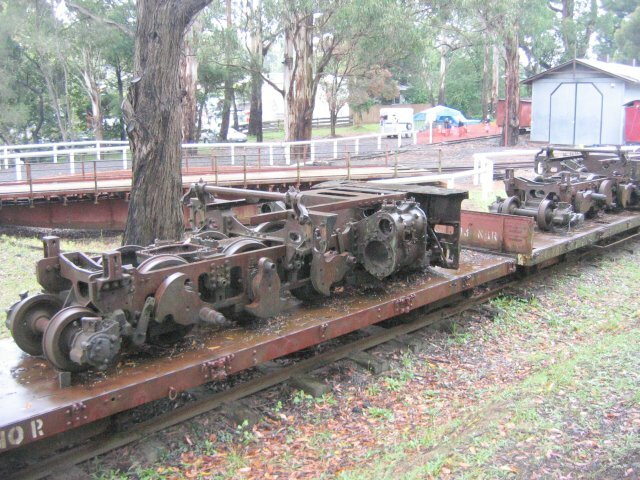 This photo was contributed by Stefan Rebgetz and shows No.129's engine units stored on NQR flat wagons near the PBR's Emerald station. No. 129 is a 2'-gauge South African Railways 'NGG16' class Beyer-Garratt locomotive. It was built by Beyer Peacock & Co of Manchester (builder's No.7430 of 1951) to their "Beyer-Garratt" patented design of articulated steam locomotive. No. 129 was acquired from the South African Railways by the Puffing Billy Railway and imported to Australia in 1996. It was initially dismantled to facilitate assessment, design and planning for regauging and rebuilding to 2' 6", with the major components stored at various PBR sites for a decade . In order to give an impression of how NGG16 No.129 may look following restoration, some images of sister locomotive No.143 in steam on the Welsh Highland Railway are shown below. These images are copyright to Barrie Hughes and originally appeared on his excellent Welsh Highland Railway pages, and are reproduced with permission. 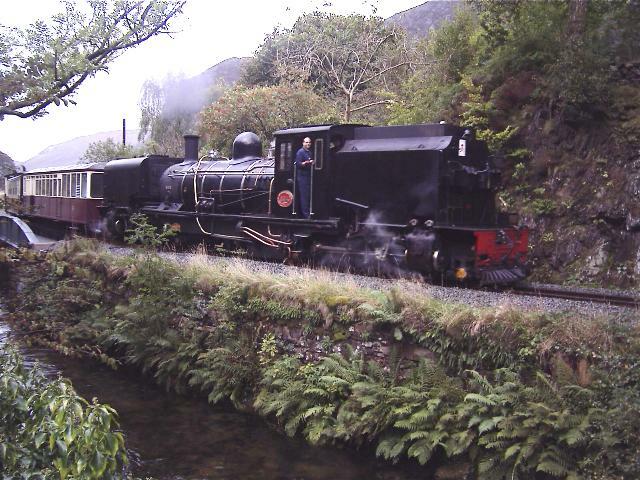 A taste of things to come: sister NGG16 locomotive No.143 at Plas-y-nant on the Welsh Highland Railway on 12 September 2004 . 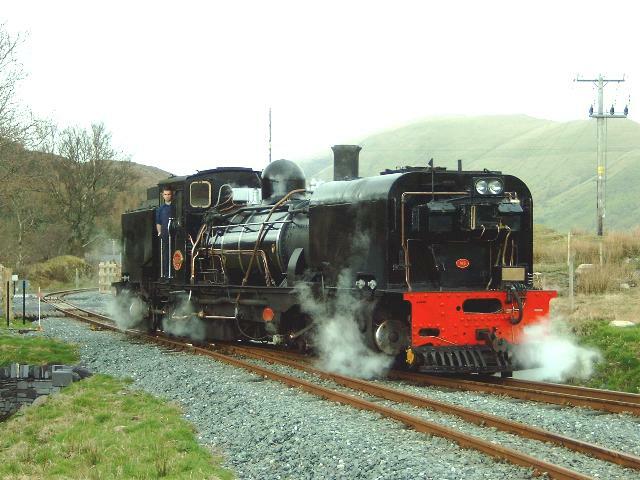 Another view of sister NGG16 locomotive No.143 at work on the Welsh Highland Railway; this view is dated 21 March 2004. This image is copyright Barrie Hughes and was taken on a Samsung Digimax 200 camera. Image post processed using iPhoto Plus4 image correction technology and displayed at 96dpi.